Loving Healing Press, 9781615990108, 206pp. 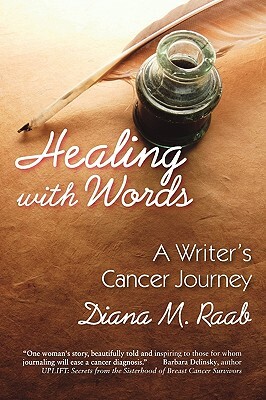 "Healing With Words: A Writer's Cancer Journey" is a compassionate and wry self-help memoir written by an award-winning prolific author, nurse and poet, who at the age of forty-seven found her life shattered first by a DCIS (early breast cancer) diagnosis and five years later by another, seemingly unrelated and incurable cancer--multiple myeloma. The book includes the author's experiences, reflections, poetry and journal entries, in addition to writing prompts for readers to express their own personal story. Raab's journals have provided a safe haven and platform to validate and express her feelings. Raab views journaling to be like a daily vitamin--in that it heals, detoxifies and is essential for optimal health.